Защищенные и полузащищщенные ноутбуки, трансформиры и гибридные защищенные гаджеты. (CF-3141600N9) i5-5300U (2.3 ГГц), 4(8)Gb DDR3 , 500Gb SATA, 13.1" XGA TFT 1200 кд/м2, Intel Graphics 4000 UMA, WLAN 802.11 a/b/g/n, BT 4.0, PCMCIA card Type I/II, Exp Подробнее ... 225 426 pуб. (CF-3141600T9) i5-5300U (2.3 ГГц), 4(8)Gb DDR3 , 500Gb SATA, 13.1" XGA TFT 1200 кд/м2, , Intel Graphics 5000, WLAN 802.11 a/b/g/n, BT 4.0, PCMCIA card Type I/II, Exp Подробнее ... 230 472 pуб. 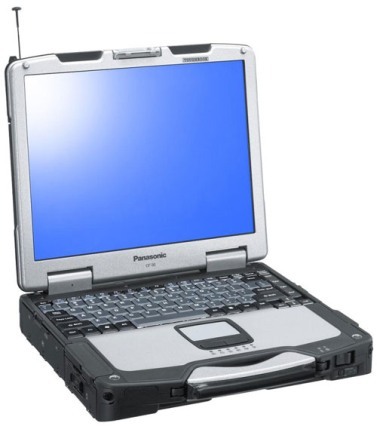 (CF-3141601N9) i5-5300U (2.3 ГГц), 4(8)Gb DDR3 , 500Gb SATA, 13.1" XGA TFT 1200 кд/м2, Glonass/GPS, Intel Graphics 5000, WLAN 802.11 a/b/g/n, BT 4.0, PCMCIA card Type I/II, Exp Подробнее ... 236 501 pуб. (CF-3141603T9) i5-5300U (2.3 ГГц), 4(8)Gb DDR3 , 500Gb SATA, 13.1" XGA TFT 1200 кд/м2, Gobi 5000, Intel Graphics 5000, WLAN 802.11 a/b/g/n, BT 4.0, PCMCIA card Type I/II, Exp Подробнее ... 246 558 pуб. (CF-3141500T9) i5-5300U (2.3 ГГц), 4(8)Gb DDR3 , 500Gb SATA, 13.1" XGA TFT 1200 кд/м2, TouchSreen, Intel Graphics 5000, WLAN 802.11 a/b/g/n, BT 4.0, PCMCIA card Type I/II, Exp Подробнее ... 255 279 pуб. 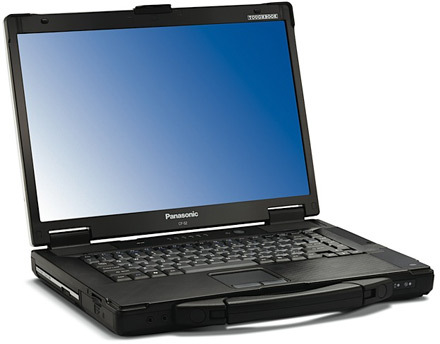 (CF-3141501T9) i5-5300U (2.3 ГГц), 4(8)Gb DDR3 , 500Gb SATA, 13.1" XGA TFT 1200 кд/м2, TouchSreen, Glonass/GPS, Intel Graphics 4000 UMA, WLAN 802.11 a/b/g/n, BT 4.0, PCMCIA card Type I/II, Exp Подробнее ... 268 969 pуб. (CF-3141503T9) i5-5300U (2.3 ГГц), 4(8)Gb DDR3 , 500Gb SATA, 13.1" XGA TFT 1200 кд/м2, TouchSreen, Gobi 5000, Intel Graphics 5000, WLAN 802.11 a/b/g/n, BT 4.0, PCMCIA card Type I/II, Exp Подробнее ... 271 353 pуб. 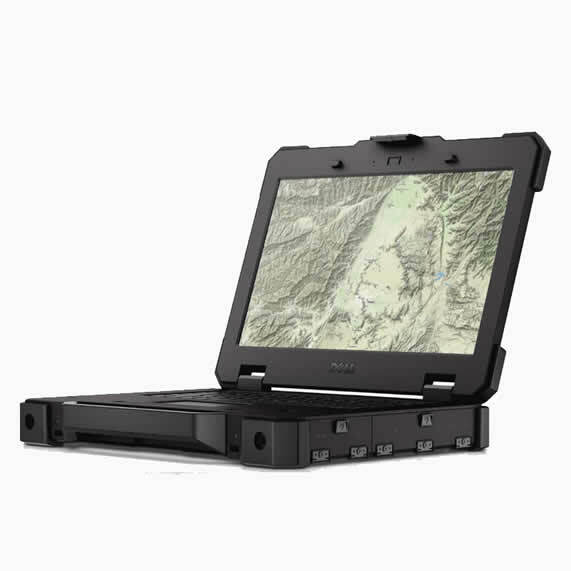 (CF-3141604N9) i5-5300U (2.3 ГГц), 4(8)Gb DDR3 , 500Gb SATA, 13.1" XGA TFT 1200 кд/м2, Glonass/GPS, Gobi 5000, Intel Graphics 5000, WLAN 802.11 a/b/g/n, BT 4.0, PCMCIA card Type I/II, Exp Подробнее ... 273 920 pуб. (CF-20A0205T9) Core m5-6Y57 vPro, 10.1" TFT FHD 1920x1200, TS, Intel HD Graphics 515, 8GB, SSD 128GB, WLAN, BT, MiniSD + SD/SDXC, VGA, HDMI, 3хUSB3.0, 1хUSB2.0, 2x RJ-45 10/100/1000, Speaker, HeadSet port, Webcam 2MP, Rear Cam 8MP, Li-Ion bat 4200 mAh, Подробнее ... 332 123 pуб. (CF-20C0205T9) Core m5-6Y57 vPro, 10.1" TFT FHD 1920x1200, TS+Digitizer, Intel HD Graphics 515, 8GB, SSD 128GB, WLAN, BT, MiniSD + SD/SDXC, VGA, HDMI, 3хUSB3.0, 1хUSB2.0, 2x RJ-45 10/100/1000, Speaker, HeadSet port, Webcam 2MP, Rear Ca Подробнее ... 342 206 pуб. (CF-20A0205N9) Core m5-6Y57 vPro, 10.1" TFT FHD 1920x1200, TS, Intel HD Graphics 515, 8GB, SSD 128GB, WLAN, BT, MiniSD + SD/SDXC, VGA, HDMI, 3хUSB3.0, 1хUSB2.0, 2x RJ-45 10/100/1000, Speaker, HeadSet port, Webcam 2MP, Rear Cam 8MP, Li-Ion bat 4200 mAh, Подробнее ... 348 783 pуб. (CF-20A5108T9) Core m5-6Y57 vPro, 10.1" TFT FHD 1920x1200, TS, Intel HD Graphics 515, 8GB, SSD 128GB, Gobi5000, WLAN, BT, MiniSD + SD/SDXC, VGA, HDMI, 3хUSB3.0, 1хUSB2.0, 2x RJ-45 10/100/1000, Speaker, HeadSet port, Webcam 2MP, Rear Ca Подробнее ... 349 331 pуб. (CF-20C0205N9) Core m5-6Y57 vPro, 10.1" TFT FHD 1920x1200, TS+Digitizer, Intel HD Graphics 515, 8GB, SSD 128GB, WLAN, BT, MiniSD + SD/SDXC, VGA, HDMI, 3хUSB3.0, 1хUSB2.0, 2x RJ-45 10/100/1000, Speaker, HeadSet port, Webcam 2MP, Rear Ca Подробнее ... 359 171 pуб. (CF-20C5108T9) Core m5-6Y57 vPro, 10.1" TFT FHD 1920x1200, TS+Digitizer, Intel HD Graphics 515, 8GB, SSD 128GB, Gobi5000, WLAN, BT, MiniSD + SD/SDXC, VGA, HDMI, 3хUSB3.0, 1хUSB2.0, 2x RJ-45 10/100/1000, Speaker, HeadSe Подробнее ... 359 397 pуб. (CF-20A5108N9) Core m5-6Y57 vPro, 10.1" TFT FHD 1920x1200, TS, Intel HD Graphics 515, 8GB, SSD 128GB, Gobi5000, WLAN, BT, MiniSD + SD/SDXC, VGA, HDMI, 3хUSB3.0, 1хUSB2.0, 2x RJ-45 10/100/1000, Speaker, HeadSet port, Webcam 2MP, Rear Ca Подробнее ... 366 557 pуб. (CF-20C5108N9) Core m5-6Y57 vPro, 10.1" TFT FHD 1920x1200, TS+Digitizer, Intel HD Graphics 515, 8GB, SSD 128GB, Gobi5000, WLAN, BT, MiniSD + SD/SDXC, VGA, HDMI, 3хUSB3.0, 1хUSB2.0, 2x RJ-45 10/100/1000, Speaker, HeadSe Подробнее ... 376 971 pуб. (Latitude-E7214) Core i5-6300U 2.4GHz,8GB, 256GB SSD, 11,6” 1366x768 TS, Webcam with Flash, 8 MP Rear Cam with Flash,, Intel HD 520, Expansion Slot (8-in-1 Memory Card Reader and USB 3.0), USB 3.0, USB 2.0, RS-232, RJ-45, VGA, HDMI, WiFi, BT, 4G(LTE), GPS, Backlit Keyboar Подробнее ... 280 378 pуб. (CF-535AWZBT1) i5-4310U 2.0GHz, 14" TFT HD 1366*769, HD 4000 Graphics, RAM 4GB DDR3, HDD 500GB SATA, Gobi5000, Dual Band Wireless-AC 7260, BT 4.0 + EDR Class 2, PCMCIA card Type I or II, ExpressCard/54 or /35, SD/SDXC Card Reader, VGA, HDMI, RS232, 2xU Подробнее ... 182 835 pуб. (CF-535AWZYT1) i5-4310U 2.0GHz, 14" TFT HD 1366*769, HD 4400 Graphics, RAM 4GB DDR3, HDD 500GB SATA, Dual Band Wireless-AC 7260, BT 4.0 + EDR Class 2, PCMCIA card Type I or II, ExpressCard/54 or /35, SD/SDXC Card Reader, VGA, HD Подробнее ... 182 835 pуб. 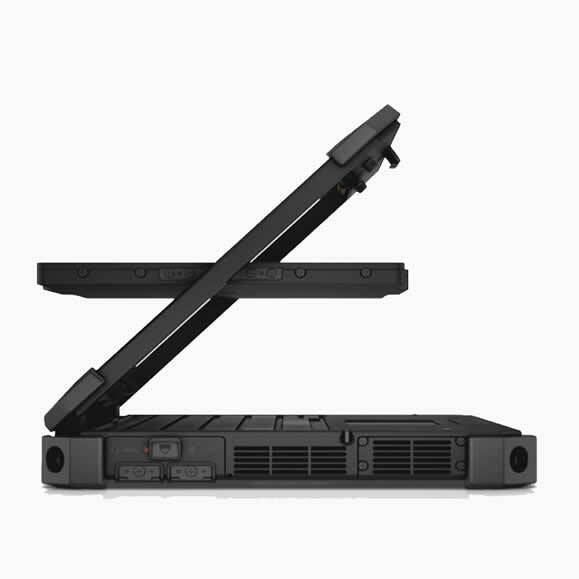 (Latitude-E7414) Core i3-6100U, 2.30 GHz, 8GB, 256GB SSD, 14.0" HD (1366x768) TS, Webcam with Flash, Intel HD 520, DVD+/- RW Drive, USB 3.0 х3, USB 2.0, RS-232х2, RJ-45х2, stereo audio combo jack, VGA, HDMI, Memory card reader, WiFi, BT,PCMCIA Card, Backlit Keyboard,6-ce Подробнее ... 223 155 pуб. 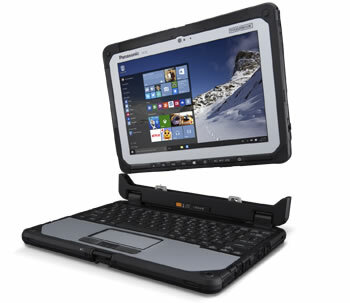 (Latitude-E7414-Gobi) Core i5-6300U, 2.4 GHz, 8GB, 256GB SSD, 14.0" HD (1366x768) TS, Gobi 4G/LTE, GPS, Webcam with Flash, Intel HD 520, DVD+/- RW Drive, USB 3.0 х3, USB 2.0, RS-232х2, RJ-45х2, stereo audio combo jack, VGA, HDMI, Memory card reader, WiFi, BT,PCMCIA Card, Back Подробнее ... 240 084 pуб.